An old name for Midsummer is Gathering Day. An herbalist gathers the magic of the summer solstice from the many medicinal and culinary herbs which are flowering or fruiting at this season of the sun’s full power. This year we are at the dark/new moon which adds a lunar potency to the herbwifery of harvesting and making medicine. Like the other solstice at Yule, Midsummer is celebrated over a few days. We are having a spell of intense heat so I will go a-gathering in a few days when the temperatures ease a little, or in the early morning before the sun is too hot. In addition to my blooming yarrow, towering mugwort and cultivated calendula, I have also gathered wild passionflower. 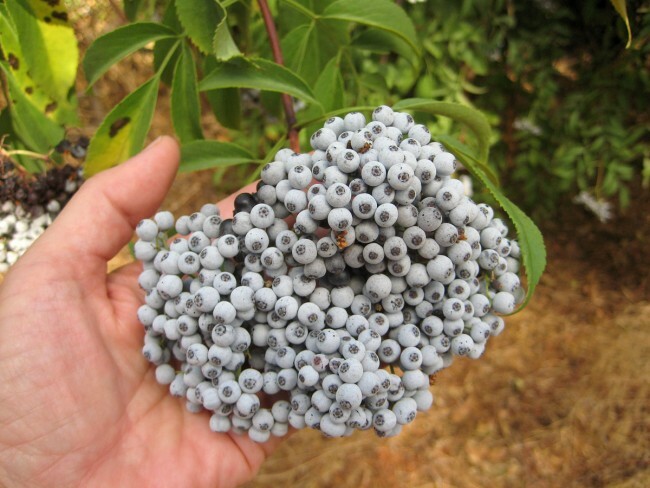 But my most lovely task will be picking elderberries from the fruiting bushes along the verges of Coyote Creek. 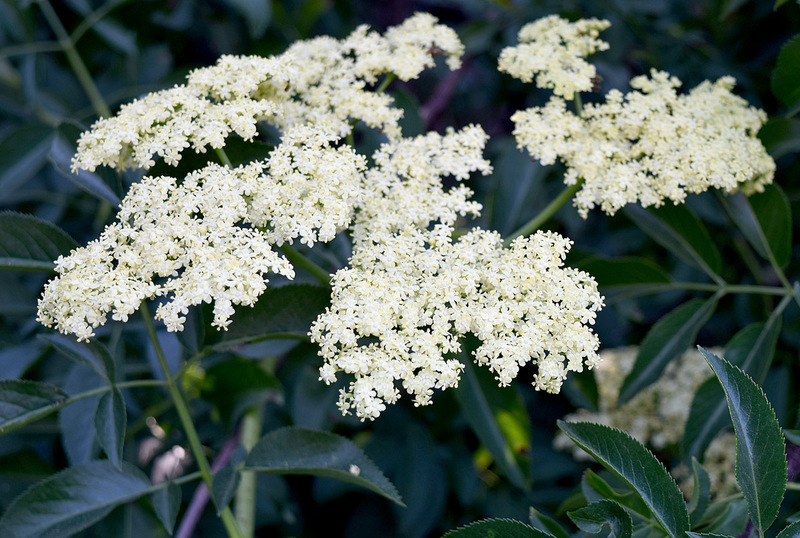 Here in California, we wildcraft from the sambucus mexicana variety, as juicy and flavorful as the more commonly pictured sambucas nigra from the wetter east and northwest of our land. 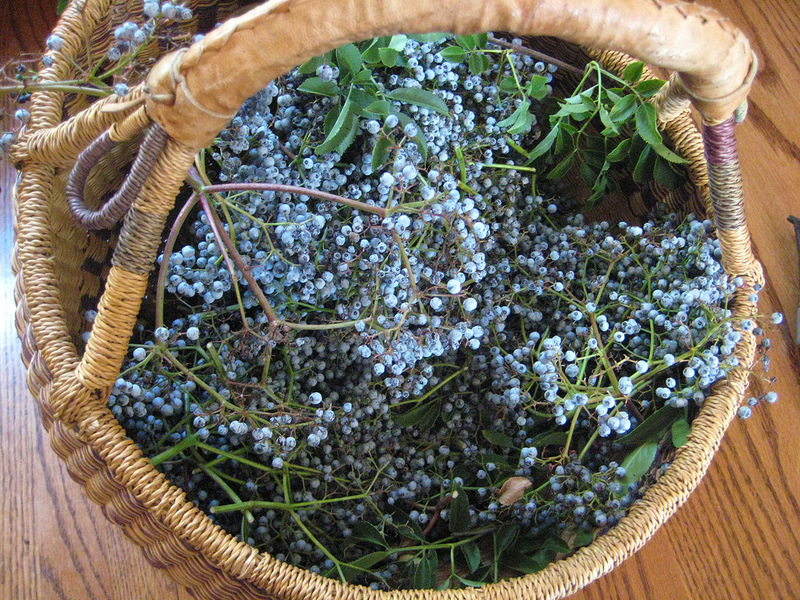 I have been making medicine with these berries for the last few years. Beginning a daily dose in my morning tea last year was enough to raise my worrisome white blood cell count, easing my mind about any potential infection during a major surgery. The lovely flower in May is harvested for wine and tea, but I refrain and wait for the berries at midsummer. This picture shows the characteristic serrated leaves of the plant. They are ready when they are a dusky violet and the birds have been visiting them. When I can’t process them right away, I put them in large clear plastic bags in the freezer. 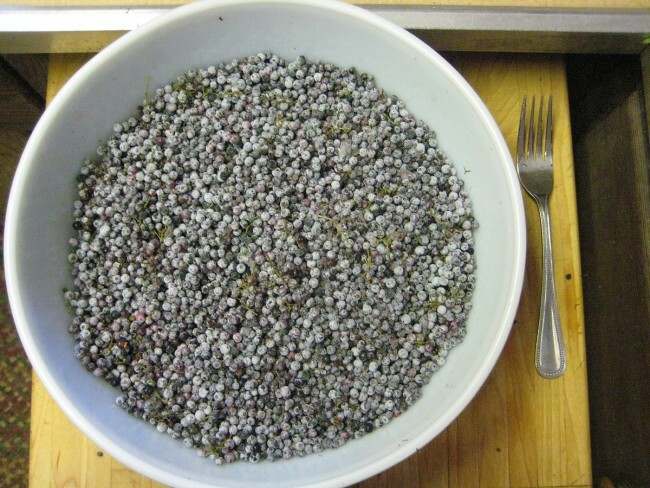 Then when I am ready, the berries pop off the stems easily with a fork, a nice method since the leaves and stems are potentially toxic. 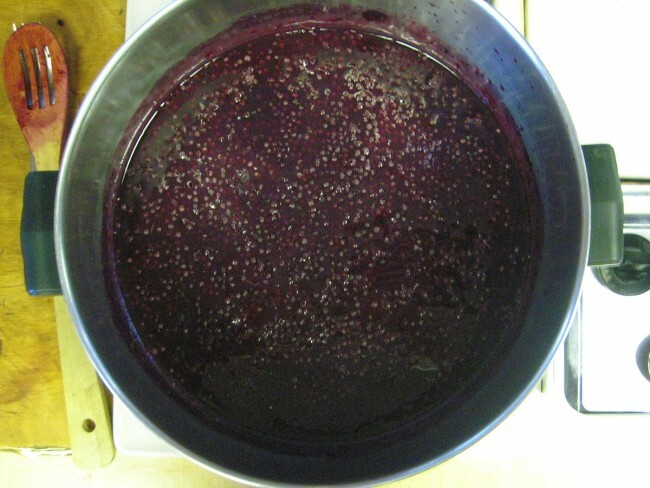 I have made medicine by mixing them in with a little water and a lot of honey, and cooking it all down into a sweet syrup. 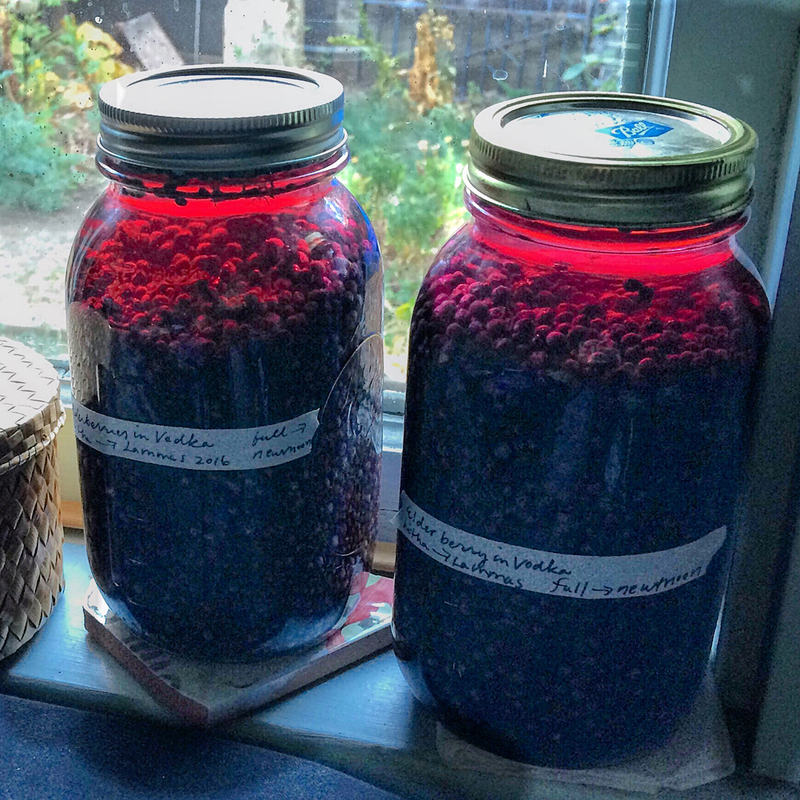 But my favorite way to make elderberry medicine is to simply put the fruit in jars and cover them with vodka. This lets me put by the most medicine. When I add a dropperful, or three, to my morning tea, the alcohol boils off and my tea tastes extra delicious. My young herbalist friend says adding elderberry to any medicine makes the patient “compliant.” I can understand why! Midsummer means a sweet visit with my powerful “elder” sister, queen of herbs. May this time of light and magic bring you much sweetness and health during the long days and lingering twilights. We have to wait until September to process our elderberries. The flowers are still at their height at midsummer here is Ireland! We may have the long days, but not the heat. Next post: What falls away is always. And is near.